We have partnered with Inmotion Hosting to bring you a great exclusive deal for AlienWP visitors. You can use the link below to get 40% of any of their business hosting plans – that brings down the price of the launch plan to just $4.19 per month, that’s a great deal for solid WordPress web hosting. I have used Inmotion Hosting for many years, we use them to host AlienWP on one of their VPS plans. 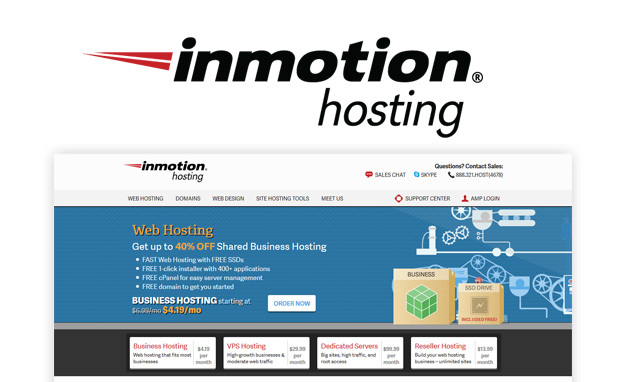 Their hosting is ultra-reliable, I have had no downtime in over a year but the best thing about Inmotion is their customer support. From their support area you can phone, email or chat online with support – I usually use the live chat and any issues or questions I have are resolved straight away while I chat to them. Take a look at their plans, perfect for individuals or businesses who use WordPress. Use our exclusive coupon code to get a 40% discount off any plans.